Folic Acid For Pregnant Mothers Cuts Kids' Autism Risk : Shots - Health News A study of more than 85,000 women in Norway found that those who started taking a folic acid supplement four weeks before getting pregnant were about 40 percent less likely to have a child who developed the disorder. 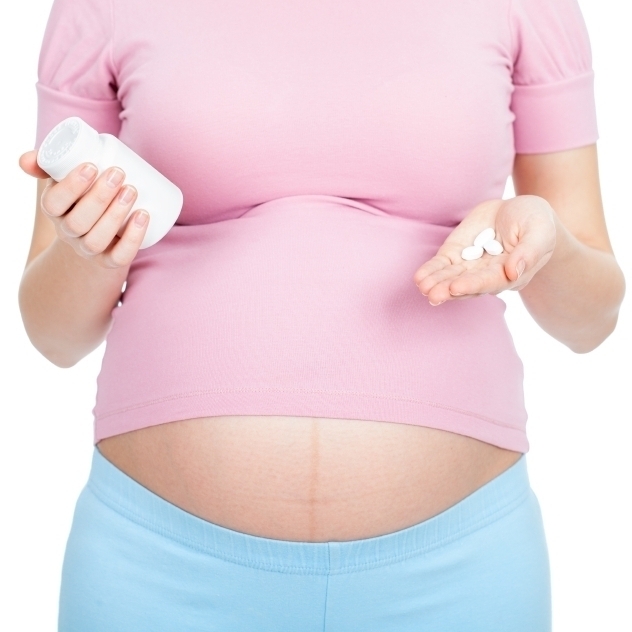 Mothers had to continue taking the supplement during the first eight weeks of pregnancy to get the full benefit. Despite public health campaigns urging women in the U.S. to take folic acid, many are still not taking the supplements when they become pregnant. A common vitamin supplement appears to dramatically reduce a woman's risk of having a child with autism. "That's a huge effect," says Ian Lipkin, one of the study's authors and a professor of epidemiology at Columbia University's Mailman School of Public Health. Folic acid is the synthetic version of a B vitamin called folate. It's found naturally in foods such as spinach, black-eyed peas and rice. Public health officials recommend that women who may become pregnant take at least 400 micrograms of folic acid every day to reduce the chance of having a child with spina bifida. The link between folic acid and autism risk is especially striking because the supplement is so cheap and easy to get, Lipkin says. "The notion that a very simple, nontoxic food supplement could reduce your risk is profound," he says. There are caveats, though. To get the full benefit, mothers had to start taking folic acid supplements four weeks before conceiving and keep taking them during the first eight weeks of pregnancy. Risk reduction was also limited to severe autism, not milder forms such as Asperger's. "But when you start talking about autism, a disorder that has an incidence of 1 percent or higher, that really does bring it to home," Lipkin says. "That is a substantial risk." "I have nothing at all against green vegetables and beans," he says. "But you only absorb about half of the dietary folate that you take in." "This study is reassuring that folic acid supplementation not only is safe but actually decreases the rate of autism," says Susan Hyman, a professor of pediatrics at the Golisano Children's Hospital at the University of Rochester. Previous studies have found that factors including obesity and diabetes can also influence a mother's risk of having a child with autism, Hyman says. Women who may become pregnant should eat a balanced diet, exercise, decrease stress and take supplements containing folic acid "so they can have the healthiest baby possible," she says.